What size? 2" 3" 4" 6" 8" 10" 12" 14" 16" 18" 20" 24"
OILCO Liquid Handling Systems has maintained the position of being the petroleum and heavy industry leader for swivel joint manufacturing for 80 years. Based on proven core design elements, OILCO has developed the widest application range of a standardized product line. Utilizing multiple radial ball bearing tracks, tapered roller bearings, various packing seal arrangements, a combination of construction metals and availability from 1.5" through 24" ID sizing, there are few industrial applications out of reach. Determined to offer the most performance driven, affordable and serviceable units in the world, OILCO provides a complex and complete line. The standard OILCO O-ring is a single point pressure seal design. Contained within opposing grooves, the compression along the sealing surfaces promotes a positive adherence while maintaining rotation and keeping friction loss to its minimum. 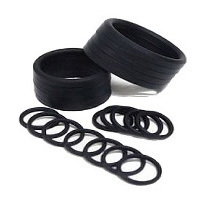 The OILCO V-ring is a triple seal configuration, spring energized, and self-adjusting for normal wear. A Teflon® spring adapter and equally spaced compression springs forces the interlocking three seals to flare and constantly maintain an optimal positive seal. Buna-N is standard, but Viton, Teflon®, Kalrez®, Chemrez®, EPDM and EPR are available options in either format, depending on the product and customer requirements. OILCO utilizes various ball bearing and dimensional engineering to offer the highest moment load to swivel joint ratio in the industry. OILCO begins the swivel joint line with a graduated ball bearing design in the dual track raceways. For extreme load carrying, OILCO offers a swivel line incorporating the tapered Timken® roller bearing. 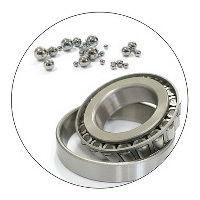 Virtually friction free movement, the roller bearings offer superior durability and permanent alignment with simple seal replacement and easy internal maintenance. OILCO offers the industry both the most swivel joint design options and the most extensive level of secondary options. Available on most series, OILCO can manufacture customer specific applications in less time than anyone else. With more than 25 years’ worth of performance experience, the adaptation abilities of the 90 platform and the technological variations offer unmatched project flexibility with traditional performance reliability. For 80 years, OILCO has manufactured the largest selection of top quality swivel joints in the industry. With such a diverse array of models and styles, it is critical the customer fit the appropriate unit with the intended application. Size, material of construction. connection type and seal to product compatibility are vital in selected the ideal equipment with the proper application. After installation, periodic safety checks and programmed maintenance schedule should be followed in order to maintain unit integrity and performance. If there are any questions or concerns with OILCO swivel joint or an intended project, please call the main office at 1-800-99-OILCO.